With their classic feel, hardwood floors are also a great fit for both modern and classic homes in Barrie, ON. When you choose to add hardwood floors to your home, you are adding a great deal of value to your property. While hardwood flooring does require an initial investment that is sometimes higher than other types of flooring, it is well worth it because many people look for real hardwood when they are shopping for real estate. Another benefit of hardwood is its longevity; you can simply sand and refinish wood floors time and time again to create a new and polished look without having to replace the planks. Hardwood is resistant to dirt, dust, and debris, so cleaning is simple. You can simply run a broom or soft dry mop across the floor every so often to get rid of traces of dust and dirt left behind by foot traffic. With their classic feel, hardwood floors are also a great fit in both modern and classic homes. 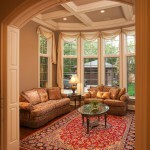 You can add area rugs on top of them in bedrooms or living rooms, or keep them uncovered for high-end flair. At Giant Carpet Flooring Centre, we install hardwood floors in the Barrie, Ontario area. We have more than three decades of experience, and have been in the same location for over 15 years. We focus on customer service and will make sure you are happy with how your new hardwood floors turn out. Our showroom is open seven days a week, so stop in and check out our selection or give us a call for more information. At Giant Carpet Flooring Centre, we install high-quality hardwood floors in Barrie, Alliston, Angus, Newmarket, Cookstown, Innisfil, Bradford, Midland, Wasaga Beach, Collingwood, Muskoka, Gravenhurst, Bracebridge, Orillia, Thornton, Everett, and all of Simcoe County, Ontario.